Henry Fitch Taylor was one of America’s first Impressionist painters and later was one of the first to embrace the early modernist movement. [vi] His works spanned from oil painting to cement carvings to carved wooden panel sculptures. Always interested in pushing boundaries in the art world, he was also instrumental in organizing the ground-breaking 1913 International Exhibition of Modern Art, often referred to as the Armory Show, in New York City. [vii] Taylor was a member of two New England art colonies, the Cos Cob Art Colony of Greenwich, Connecticut, and the Cornish Art Colony, where he spent the later years of his life. 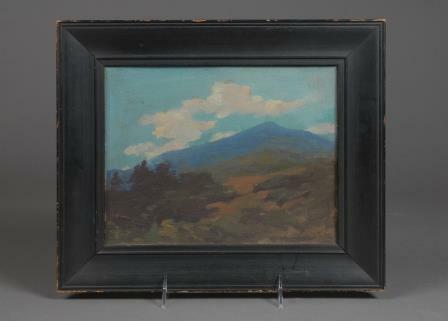 This small oil painting may have been painted en plein air, outdoors, with the view of Mount Ascutney directly before him. The paint is quite thick in some places and thin in others, but the bright colors (since darkened with age) are suggestive of Taylor’s interest in color and color theory. Although the Nichols House Museum does not know how Rose Nichols’ came to own this painting, it evidently meant a lot to her. 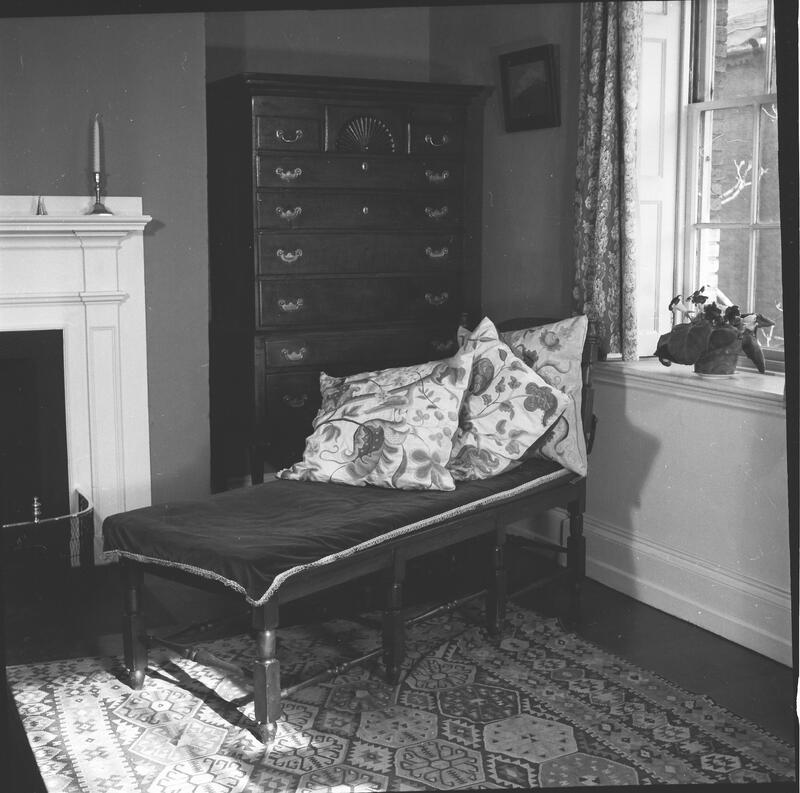 She had it hanging in her bedroom at the time of her death in 1960. Taylor’s small, colorful oil painting of Mount Ascutney is a little reminder of those vibrant, creative Cornish summers the Nichols enjoyed, on display in the Boston home. Interested in learning more about the artists of Cornish and Rose Nichols’ time there? 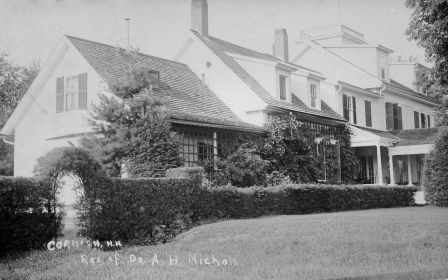 The Nichols House Museum is hosting a lecture Tuesday, October 28 at 6:00 p.m. entitled “Life at Mastlands: Rose Nichols and the Cornish Art Colony” by Margaret Dimock, the museum’s inaugural Julie Linsdell and Georgia Linsdell Enders Research Intern. Please call the museum at 617-227-6993 to reserve a seat for this free lecture. [i] A Circle of Friends: Art Colonies of Cornish and Dublin, exhibition catalog. University Art Galleries, University of New Hampshire, Durham: Mark-Burton Inc., 1985. [iii] Duncan, Frances. 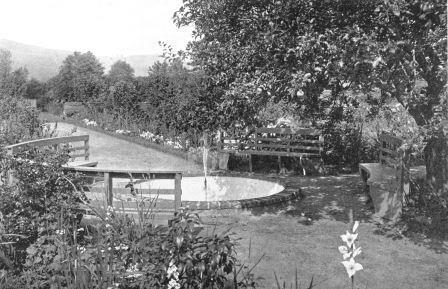 “The Gardens of Cornish.” The Century Magazine. Vol. LXXII, no. 1. 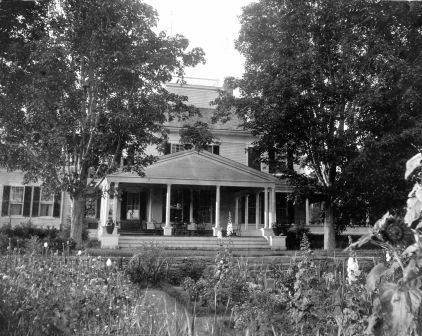 May, 1906. [iv] Nichols, Rose Standish. “How Not to Make a Flower Garden.” House Beautiful, September, 1911. Pg. 104. [v] Hutchinson, At Home on Beacon Hill, 79. Elizabeth to Arthur, July 9, 1886. [vi] Oaklander, Christine I. “Cos Cob’s Surprising Modernist: Henry Fitch Taylor, An Exhibition at Bush-Holley Historic Site September 30 to December 31 2005.” The Historical Society of the Town of Greenwich.